Forza Horizon 4 is just around the corner, and we recently got our hands-on with the game on Xbox One X at the McLaren Technology Centre in Woking, Surrey. To learn more about how Seasons change and evolve the open-world of beautiful, historic, Britain, our very own FullThrottle Media co-owner Alan Walsh sat down with Ralph Fulton of Playground Games to discuss all things related to Forza Horizon 4. 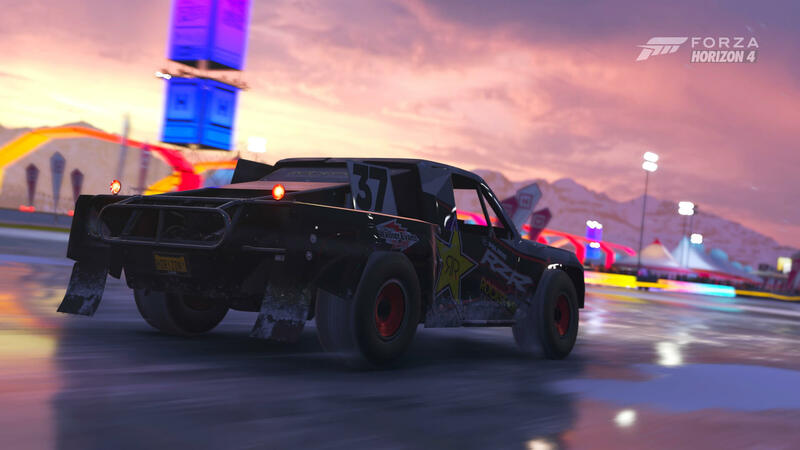 Not only did the conversation focus on the innovations around Dynamic Seasons in Forza Horizon 4, however, as Ralph also discussed what the team at Playground Games learned coming out of Forza Horizon 3, the different ways players enjoy the Horizon series, and how this latest installment encourages you to play and live your Horizon Life however you desire. In addition, the interview touches on the streets of Edinburgh in Forza Horizon 4 and how they’re reminiscent of a classic race track in Project Gotham Racing 2, which is also based on the Scottish capital. Fulton revealed that the team used this for inspiration when recreating the streets and landmarks of Edinburgh in Forza Horizon 4. Alan undeniably loved exploring beautiful, historic Britain during his hands-on time with the game, as he discussed in his preview – and the topic of exploration naturally came up during his conversation with Ralph as well. 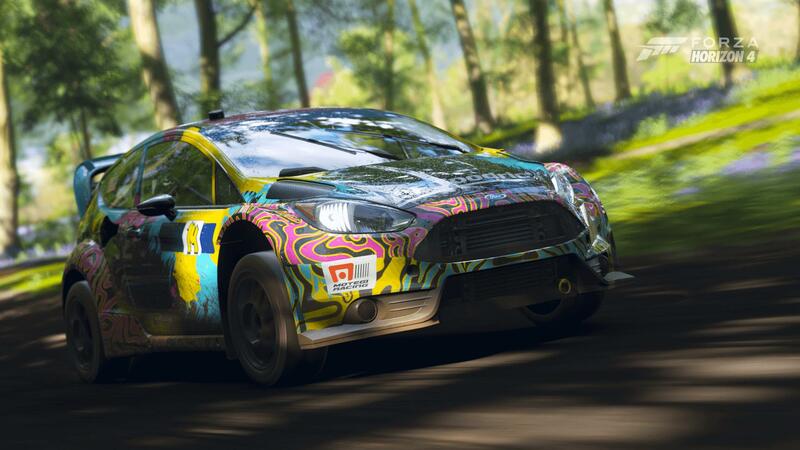 The PC version of Forza Horizon 4 was another point of discussion in the interview. Whilst it won’t feature SLI support for multiple GPUs at once, the recommend spec of the game is based on 60fps gameplay for the first time instead of 30fps. Furthermore, there’s a new selection of options that players can take advantage of to push to the extreme beyond Ultra graphics. Fulton also confirmed that the all-new ‘Performance’ mode in Forza Horizon 4 for Xbox One X players targets 60FPS gameplay at 1080p resolution, whilst the ‘Graphics’ mode delivers native 4K visuals at 30FPS like Forza Horizon 3. Following on from the topic of Forza Horizon 4’s Xbox One X modes, it was only natural that Alan asked about the possibility of Xbox One X enhancements for Forza Horizon 2. Released in 2014, this game took the Horizon Festival to the coastlines and vineyards of southern Europe, and it still holds up respectably well today. Whilst this isn’t on the roadmap for the team yet, it’s something we would love to see happen in the future – we even spoke about it in a dedicated feature article that discussed why Forza Horizon 2 deserves that Xbox One X enhanced treatment. Beyond that, the interview also discusses post-launch support for Forza Horizon 4, and how players can get their hands-on with the game. Microsoft and Turn 10 Studios released a free demo for the open-world racer this week, which offers a curated portion of beautiful, historic Britain to discover, featuring a handful of cars to drive and customize, as well as a couple of events to complete. As a reminder, Forza Horizon 4 will be available on October 2nd, 2018 for Xbox One and Windows 10 PC. It’ll also be available day-in-date on the Xbox Game Pass subscription service, but Ultimate Edition owners will receive four days of early access to the full game from September 28th.